A traditional entrance, classic with marble detail around the door, excellent capture! Your post office is elegant! 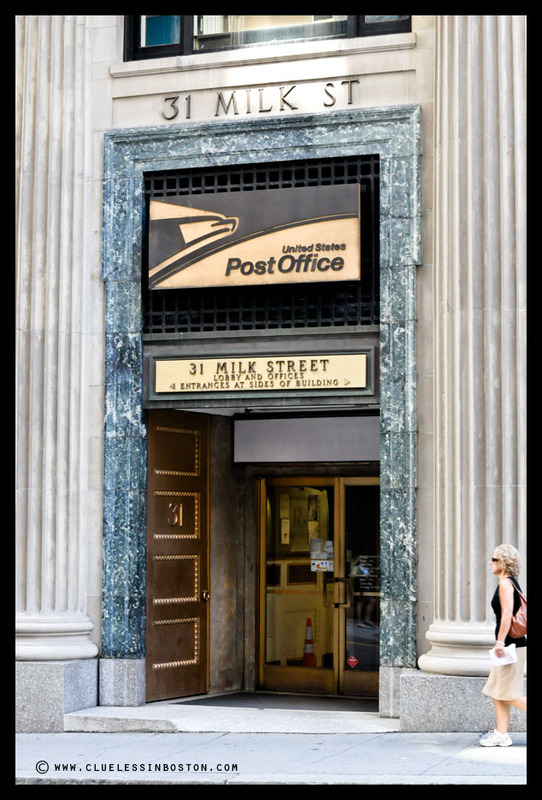 Post Offices: interesting places. How long til they go the way of dinosaurs?????? I really like the logo above the door, the art-deco eagle head. Bet that would make a neat shot on its own. Elegant post office door, I like the idea of a milk street. I love milk. Very rich doorway for a post office! I like "Milk" as a name for a street. Gives something to the building. Cool. I like "Milk St.". I don't know why this sounds famous to me. I've been taking PO photos most places I go to (esp. small towns in California and back East). This is a beauty. Milk, it's good for everybody.